The popular PSU and cooler maker Thermaltake has started the sales of its latest laptop cooling solution dubbed LifeCool II. The new laptop cooler comes with a tapered profile and offers the following dimensions – 23.5 x 319.2 x 54.3 mm for total weight of 677 grams. 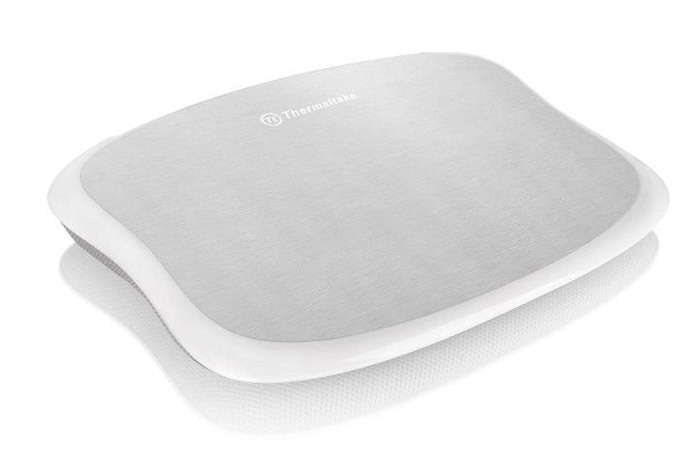 It uses a special soft pillow for easy placement of a mobile computer as well as an aluminum plate for heat dissipation. Suitable for 10-17-inch mobile computers the LifeCool II will be available in several colors. Right now Thermaltake offers just black and white versions but later on there will be more. Unfortunately the pricing of the LifeCool II is still unknown.